There is nothing more beautiful than a gorgeous sunset over the mountains! I like the illumination of the snow in this photo. Gorgeous colours – Simply stunning! Man that must have been amazing to witness, great shot(s). 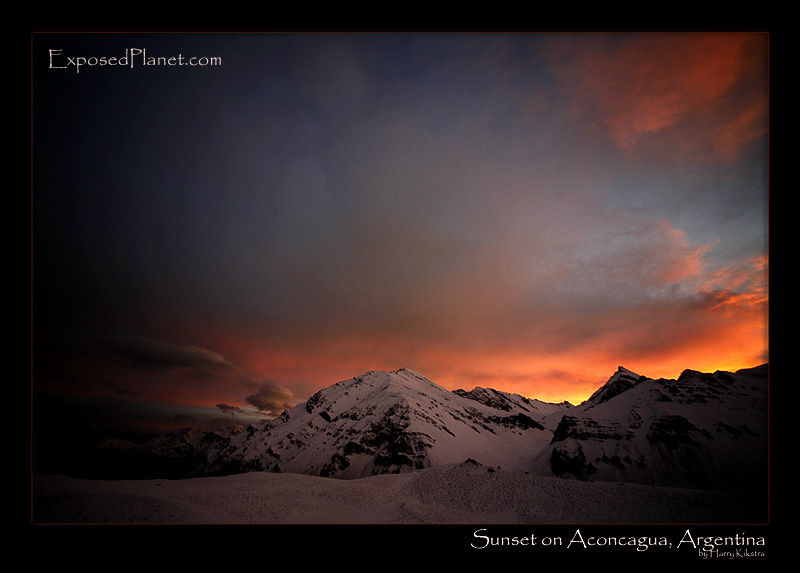 The story behind "Sunset on Aconcagua, Argentina"
When the snowstorm at Confluencia camp suddenly stopped, we were treated to a great sunset, where the colours were changing every minute. I chose this one from a series of about 20 images, but any other would have been great as well, the light was just wonderful on the fresh snow.